Shop online for over 2,200 busch model trains at discounts up to 25%. Roadway is the most popular of the 15 busch model trains categories, then Railroad Scenery, and Buildings. 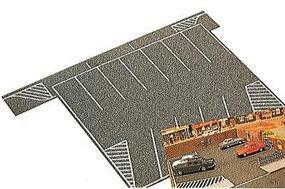 This is the HO Scale Flexible Parking Lot - 8 x 6-1/2'' 20 x 16cm by Busch Gmbh. This is the HO Scale Flexible Self Adhesive Paved Highway (3-1/8 x 78-3/4'') by Busch Gmbh. This is the HO Scale 1958 Airstream Aluminum Camping Trailer - Assembled - Silver by Busch Gmbh. 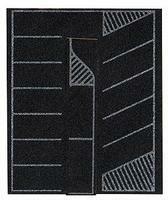 This is the N Scale Parking Lot - 4-3/4 x 4'' 12 x 10cm by Busch Gmbh. 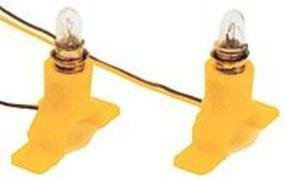 This is the HO Scale Building Light - 14-16V pkg(2) by Busch Gmbh. This is the N Scale Flexible Self Adhesive Paved Roadway (1-1/2 x 79-1/4'') by Busch Gmbh. This is the N Scale Mercedes Sprinter 2-Pack - 1 Each- Fed Ex & DHL by Busch Gmbh. This is the HO Scale Flexible Paved Country Asphalt Road, Self Adhesive (2-3/16 x 79-1/4'') by Busch Gmbh. This is the N Scale Pine Trees - 1-3/16 - 2-3/16'' 3 - 6cm pkg(60) by Busch Gmbh. This is the HO Scale Flexible Self Adhesive 2-Lane Paved Highway - Straight (white markings) by Busch Gmbh. This is the HO Scale Plowed Field Sheet (19 x 11'' ) by Busch Gmbh. The Easy Way to Plant Corn on Your Layout Here's a great solution for modeling one of the most common trackside crops. This complete kit contains everything needed to create a realistic trailer park, campground or RV park scene. This is the HO Scale Pine Tree Set - pkg(20) by Busch Gmbh. This is the HO Scale Hay Trailer - Assembled - w/Round Baled Load by Busch Gmbh. This is the HO Scale Deciduous/Pine Assortment by Busch Gmbh. pkg(35). This is the HO Scale Flexible Self Adhesive Paved 2-Lane Semicircle - White Markings by Busch Gmbh. This is the HO Scale Pine Tree Assortment by Busch Gmbh. pkg(50). Heres a crop thatll be at home on any layout in any era! Grain is grown in every region, and is the reason why many railroad lines were built. Now adding realistic grain fields to your railroad is easier than ever! This is the HO Scale Asphalt Country Road - Unmarked (1m x 66mm) by Busch Gmbh.